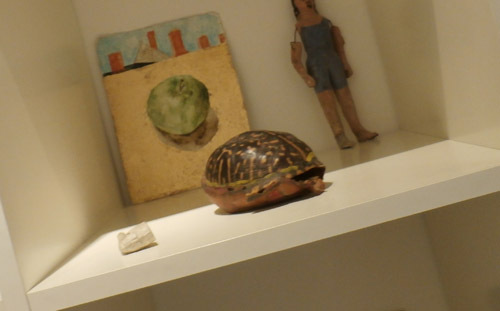 This eastern box turtle shell was part of a gallery within a gallery, curated by Bunny Pearlman that featured folk art and crafts and some found art pieces, like this shell. I love turtles and used to have a box turtle pet as a child I named Tank. I’m jumping the gun on this blog with a pure turtle love digression, in memory of Tank, gone more than 40 years now. 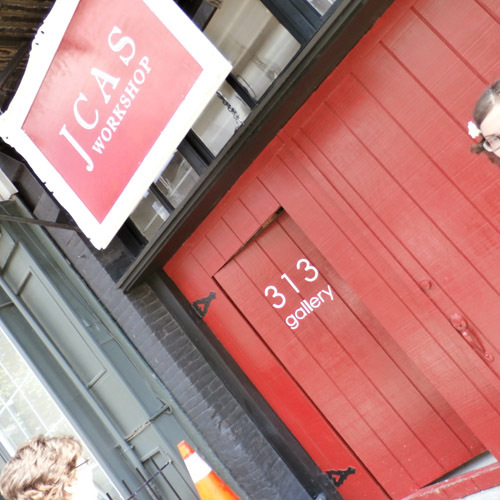 The 313 3rd Street branch of the Jersey City Art School opened two years ago as a workshop space and sometimes gallery. The opening was a fun event that I wrote about here. 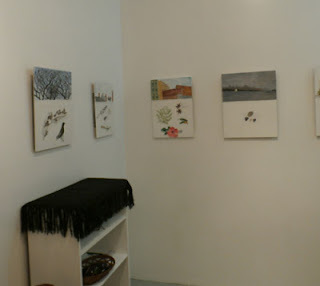 The 2013 313 re-opening for this may have bee a little more staid when it than a couple of years ago, but there was more art to see. The big news is that the gallery portion has become more permanent. 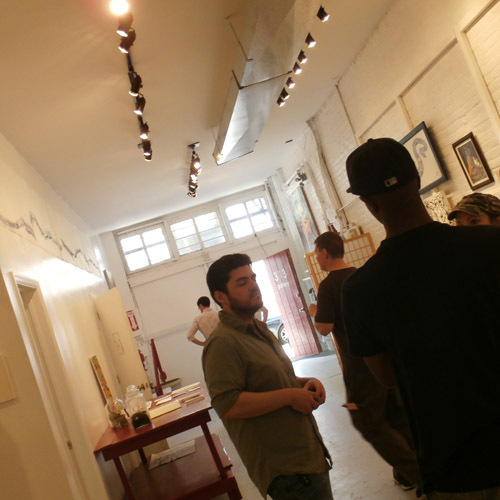 The 313 Gallery will now be open Saturday and Sunday. 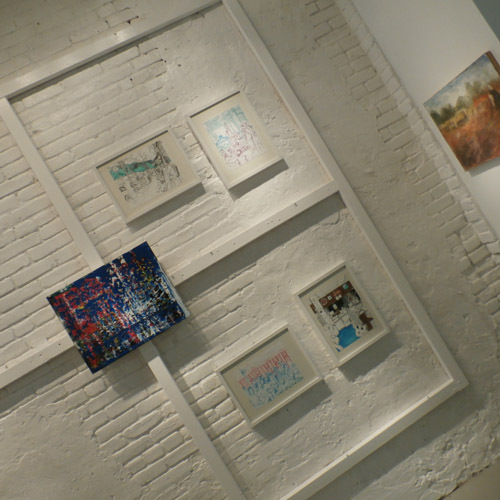 The gallery is the latest outgrowth from the Jersey City Art School, and word is that it may the first of a trio of spaces with art for sale on a regular basis. 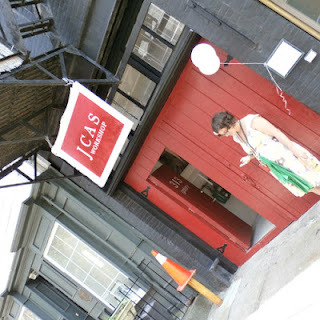 Artists have lived and worked here for years, and people visit to see the work and meet the artist at various events throughout the year, but an ongoing gallery with regular hours and art for sale that people will come to and purchase outside of an organized event, like the Studio Tour… well, regular gallery hours just like you find across the Hudson... that’s new and probably about time. 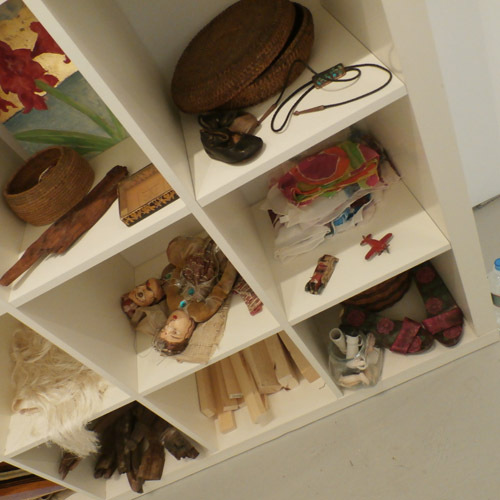 Construction for the gallery also include the addition of a massage therapy studio Evolve|Revolution Massage by Ceallaigh Pender (Pender also runs the school’s ceramic program) and the gallery opening also included the grand opening of this by appointment mini-spa. 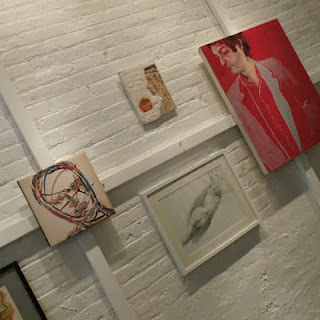 The space is nicely repurposed, tall ceilings, painted walls of brick and cement. 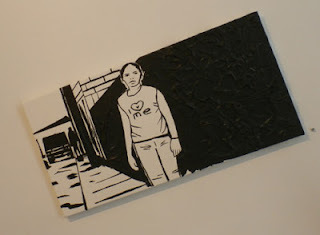 The artist work spaces are in the back, behind the back. Makes you wonder what used be here. 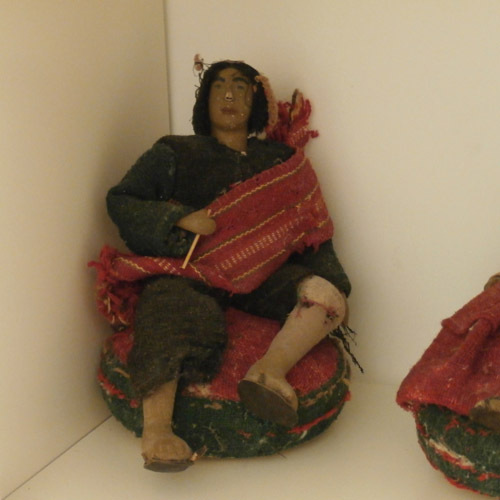 A visit to the New Jersey Room, at the main branch of the Jersey City Free Public Library tells the tale, or pieces to the story at least. 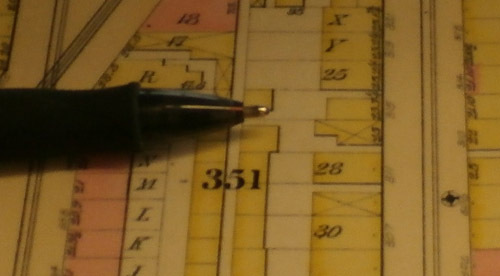 Originally it was a stable, at least in 1887, the date of this city map. Yes, it is hard to tell, but look closely, using the pen as your pointer; This is a map of 313 Third Street way back then. See the X, according to the key, that designates a stable, for horses one assumes. By 1893, a listing indicates it is now the location of a Samuel Wachtel Hat Company; In 1910 it is listed as New Jersey Hat Company. By 1926, it is Modern Hat Company and Modern it is a name that seems to have stuck, although with variations such as Modern Hatters, which appears in a local program for the Italian Village feast in 1979. It sometimes appears as A1_Modern Hat Company, the aA1 being a common device back then to get a company listed at the beginning of an alphabetical listing. 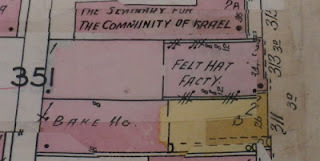 In 1956, the City map lists it as Felt Hat Facty (factory). 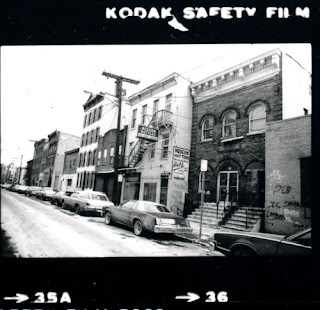 313 3rd Street circa 1981, Modern Hatter still making hats in Jersey City. (Joseph Brooks photo. New Jersey Room, Jersey City Free Public Library). Men used to wear hats all the time, until 1960, fashion historians say, with the election of John F, Kennedy, who famously did not wear a hat for his inauguration and was rarely seen with one. He wanted to project a youthful image and thought the hat made him look old or least a member of the old guard. As a result, hats fell out of favor – not that the wearing them entirely disappeared, there was always a market, but the 60s and 70s were tough times for hat manufacturers. The hat business started to come back after Indiana Jones brought back the wide-brim fedora and Urban Cowboy revitalized the Cowboy hat. Around the same time, the casual wear of the baseball cap became ubiquitous. Hats as a fashion item have returned in the 21st century, but by then Modern Hatters of Jersey City had gone the way of the Brunswick Street Blacksmiths. Except for say Stetson, most hats are now made overseas. 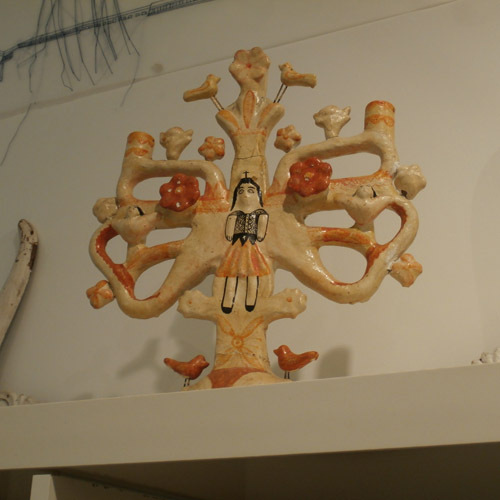 But these Jersey City Milliners lasted a long time. 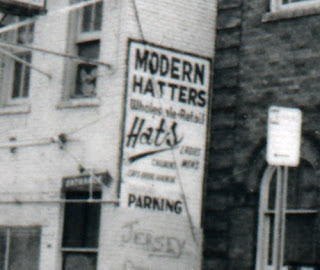 Modern Hatters was still listed in a 2001 Jersey City Yellow Pages directory. More than 50 years under one company name. Modern Hatters must have made good headwear. The cement walls, open space, industrial feel still exists in the building, giving the gallery a kind of steam-punk feel, a sense that art is the contemporary manifestation of urban productivity. 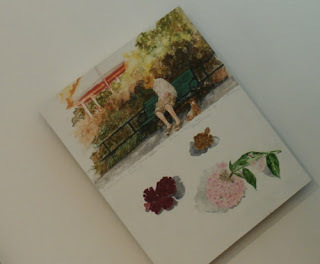 But like I said, I was most taken with the gallery within the gallery by Bunny Pearlman, and her mix of found and folk art, as well as her small, wistful paintings. Hats were once made in this space, finding their way for sale across the country; now art from or at least reflective of rural America has made it way here for view and purchase.